Please get cozy and make yourself at home while I share a little about what I’m up to. Because if you’re a heart centered entrepreneur who has BIG gifts to share with the world, you just might be in the right place. YOU ALSO MAY HAVE NOTICED, THERE IS A SHIFT UNDERWAY. A rising tide of new understandings, yearnings and momentum to redefine a new way of BEING in business. A way in which we lift each other up, we proudly and passionately share our greatest unique gifts, and we honestly and confidently communicate our value to just the right people who are ready to receive it. IT’S A MORE MINDFUL AND CONSCIOUS WAY TO BE IN BUSINESS. It’s about abundance, not scarcity. Serving, not selling. Showing, not telling. It’s about building trust, connection and community through real conversations and generosity. Its about kindness, honesty and integrity. It’s about blending smart, modern strategy with intuition. It’s about making a difference and having an impact. And it feels good. And it works. If, you are willing to work too. YOU CAN CREATE A LIFE YOU L♥VE BUILT AROUND DOING GOOD IN THE WORLD – with integrity, grace, consistent inspired action and a plan. So what do you say we infuse some ease, joy and freedom back into your life and craft a prosperous business that is authentic, compelling and totally YOU? If you are nodding your head and think that you might want to be a part of all this goodness, then I invite you to explore the rest of my happy little online home. Enjoy! I am here to help you AMPLIFY your unique and vital message to your dream clients with simplicity, strategy and SOUL. Are you in the business of making this world a better place? Let’s work together to help you share your gifts with the world. 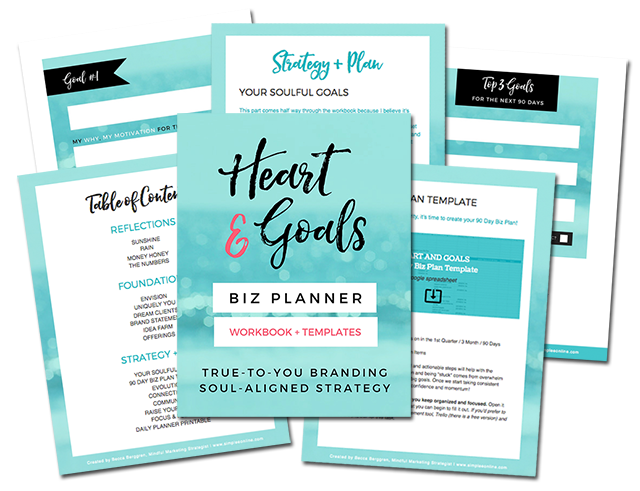 If you are a Do It Yourself kinda gal, I am creating bite sized resources for you to DIY your marketing with ease and clarity.